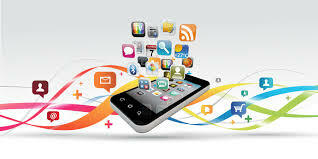 With the way the world is attached to mobile technology, it is crucial for business’s to have their own app. Consumers are using their tablets and smartphones more than ever, and it is estimated that more than 40 percent of consumer purchases are done online. That being said, if your business does not have an app, it needs one, otherwise it is losing out on valuable purchases. An app’s greatest feature is that it provides companies with the potential to communicate with their customers at any given time. It manages to bridge the gap between company and consumer when the consumer is away from the company’s store, which can lead to generated revenue if those consumers end up purchasing something. For example, Kraft’s iFood Assistant is an application that offers over 2000 recipes. Most of these recipes call for Kraft products, which subtly advertise Kraft’s name to the shopper. And, to add more incentive, the app offers coupons for different Kraft items. Additionally, if the app can integrate social media somehow, it will be much easier for the word to get out about what service your business provides. Plus your customers will be more likely to send the app’s information to their family and friends via social networking sites. Like Kraft, one of the most popular means to generating more income is to offer coupons, special promotions, and even free products. Since the population is rarely without their smart phone, having a mobile app that can be accessed from any location that offers some sort of coupon or discount can transform your industry. Target uses their app Cartwheel to locate discounted items within the store. For shoppers with a Target Red card, which automatically saves 5 percent on every order, adding coupons from Cartwheel can save anywhere from 10 to 50 percent depending upon the item. With a deal like that, consumers will most likely purchase items they do not necessarily need but do purchase because of the savings. For online retailers, having an app will become incredibly useful to on the go consumers. If a consumer is in need of purchasing something on the fly, but is not near a computer, they will most likely turn to a mobile app because the app gives them the mobility to do the same things they would have done traditionally on a desktop. Lastly, apps allow your company to stay in personal communication with your customers. Not only is it efficient, but it also manages to promote your service and product while making the customers’ lives easier. In this digital age, an app is imperative for the survival or your business. Consider using your marketing budget to finance the app, or look for a temporary loan from companies like TitleMax. Although creating an intuitive, sleek app can be a pricey expense for your business, but the end result will be well worth it.